Gestures in Android Pie. Source: Google. Most of the complaints that people have towards Android Pie’s gestures focus on the presence of the dedicated back button and the difficulty of performing the long swipe up of the pill to open the app drawer. While I don’t know if the latter gesture will be changed in Android Q, there’s a really good chance the Google may kill the dedicated back button. Here’s what we know about gestures in Android Q. The following information is based on a pre-release build of Android Q that we obtained. This build was created in late January. While we’re confident that the major features we’ve discovered so far such as system-wide dark mode and the permission revamp will appear in the release builds, it’s possible that Google may scrap these possible changes to gesture controls at any time in development. In Android Q, Google is experimenting with two major changes to Android Pie’s gestures: replacing the dedicated back button with a gesture and improving the fluidity of the “last app” transition animation. You also can no longer disable the gestures to return to the vertical card recent apps overview with the three button navigation system. More changes may be coming ahead of release, but that’s what we’ve found so far. Android’s dedicated back button has been around since the beginning, but it’s not difficult to imagine how Google could have gotten rid of it in Android Pie. Why couldn’t we just swipe the pill to the left to perform the back action? I can understand why Google didn’t remove the back button in Android Pie. The average person upgrading their Pixel, Pixel XL, Pixel 2, or Pixel 2 XL to Android 9 Pie may have grown too accustomed to the dedicated back button, so its sudden removal might have been confusing for them. But now that all Pixel owners have had a taste of gesture navigation controls, it might be time to get rid of the dedicated back button. 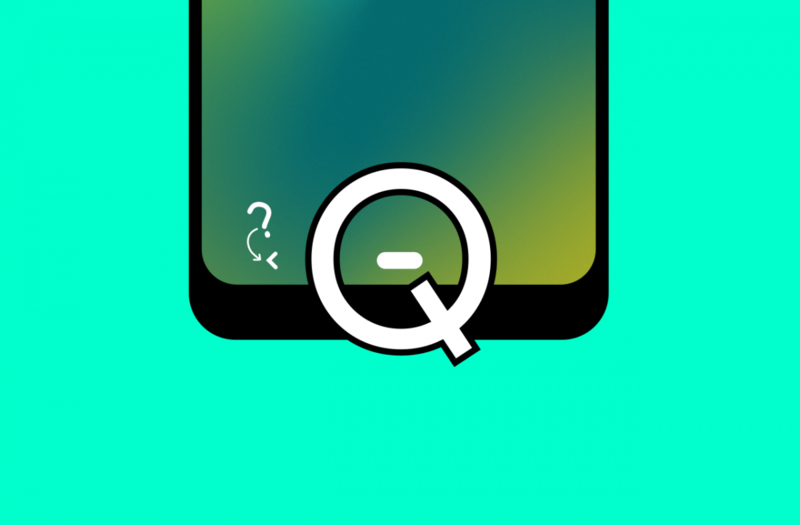 With the experimental gestures enabled in Android Q, you can swipe the pill to the left to go back. It’s exactly what I’ve been hoping to see and it’s just as simple as it sounds! It seems that Google may be going for a more iPhone-like last app gesture animation. In Android Q, swiping right on the pill in any app lets you cycle to the previous app with a smooth transition. You can cycle through all of your recent apps by continuing to swipe right on the pill, which moves you left on the horizontal recent apps overview list until you reach the oldest app in the list. If you slide the pill right while on the launcher, you can cycle through all of your apps in one continuous gesture. When will we see these new gestures? While it’s possible that Google may have fixed some of the issues I saw in the prototyping of the new gesture controls, I highly doubt we’ll see the new gestures in Android Q Developer Preview 1. A major revamp to Android’s native gesture navigation controls is a change that I feel like Google will reserve until Google I/O 2019. Android P Developer Preview 1 didn’t feature gesture controls while Android P Developer Preview 2, released during Google I/O 2018, did have them. We’re only a few weeks away from the expected release date of the first Developer Preview for Android Q, so we’ll find out soon if the gestures make it into that build. Again, it’s also possible that Google has scrapped these changes to gestures in the month since we obtained the leaked build. However, given the strong response from many outlets and users towards Android Pie’s gestures, we would be surprised if Google doesn’t make major changes to navigation gestures. Shameless plug: Looking for gesture controls on any Android device? Check out our “Navigation Gestures” app on the Google Play Store! Many thanks to PNF Software for providing us a license to use JEB Decompiler, a professional grade reverse engineering tool for Android applications. Using JEB Decompiler, I was able to find the hidden feature and understand how to activate it, with some help from XDA Recognized Developers luca020400 and Quinny899.